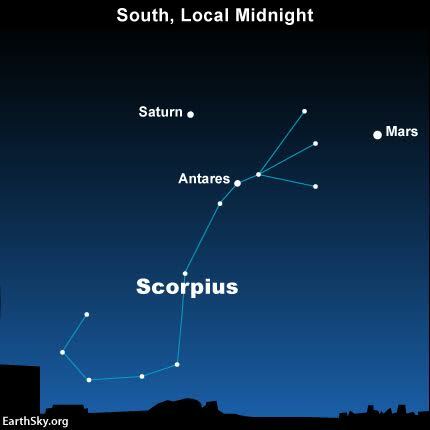 Mars slips across the southern sky, so incredibly bright, you can’t miss it. If you’ve been keeping your eye on it, you’ll notice every night it’s in a different spot, competing with Scorpio’s Antares (magnitude: 1.22). Mars is a fair distance ahead of Antares, so you can’t get them confused. Saturn isn’t in as much of a hurry as Mars, but still commands attention. During June, the ringed planet is its closest to the Earth, and, as an added bonus, has its rings nicely tipped at a 26 degree angle, showing them off nicely for you. It, too, is in Scorpio, just above it. 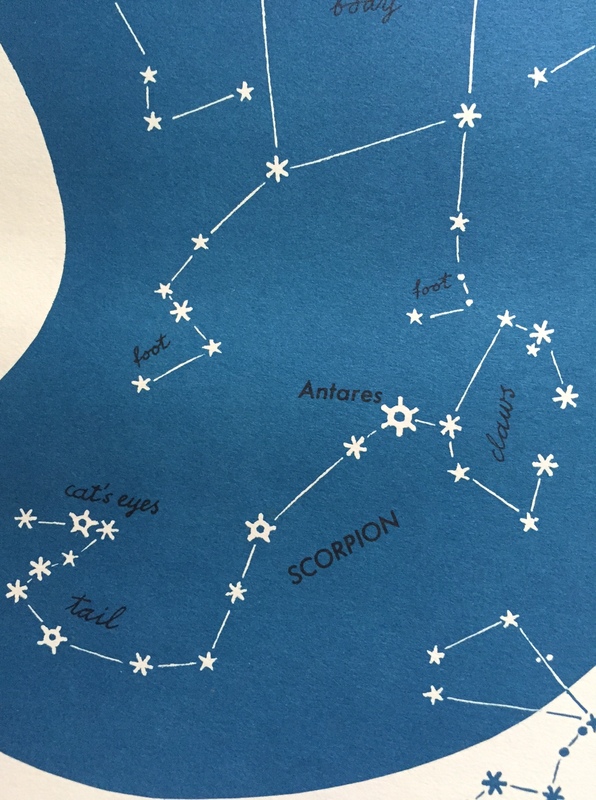 Scorpio also happens to be one of my favorite constellations, glimmering all summer long. When I see it rise, in earnest, in May, I know summer isn’t far behind. It glimmers and shimmers. It never rises that high, but you can’t miss it when it’s here. In the early morning sky, you can also see Comet Pan-STARRS near the constellation Capricorn low in the souther sky. It comes into view around 4:00 am. If you happen to have a telescope, all of these are worth seeking out. Even a strong pair of binoculars make a difference, especially with the comet. Here’s a brief video from NASA JPL with more details regarding Mars, Saturn and Comet Pan-STARRS. Take a moment this weekend and look south – nature will reward you with its charming beauty!